Whilst browsing the ‘New In’ section of Topshop’s website I discovered some wonderful gems that I just had to share with you all. This Multi Peace Bandeau Bikini is the perfect swim wear for any free-spirited chick! I love the tie dye & the peace logo adds yet more interest to this super cute bikini. Cover Up your awesome bikini with even more tie dye! 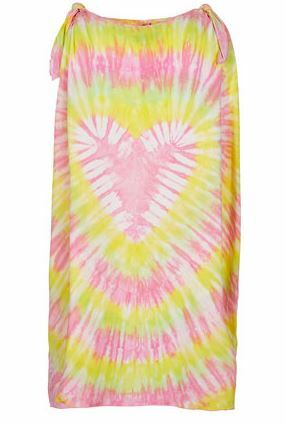 This Pink Heart Knot Vest Cover Up is a beautiful way to stay stylish on the beach this season. I love the colour & the knot detail – so sweet! A Cropped Cami is a must this season & coral is the perfect colour to brighten up your look. This simple yet oh-so-stylish cami is best teamed with high-waist denim shorts & lots of accessories! 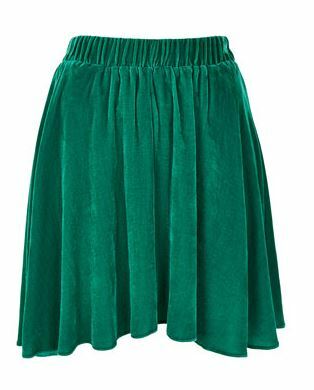 Add some different textures to your look this SS13 with this Velvet Skirt by Boutique. The emerald-green colour is striking & a great way to colour block. Just changing your accessories can give any look an instant update. 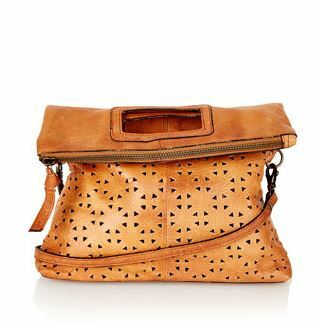 This Geo Perforated Crossbody Bag is a must have bag for festivals! I hope you liked my picks, I would love to know which is your favourite piece & how would you style it? Love the bikini! cute, cute cute!